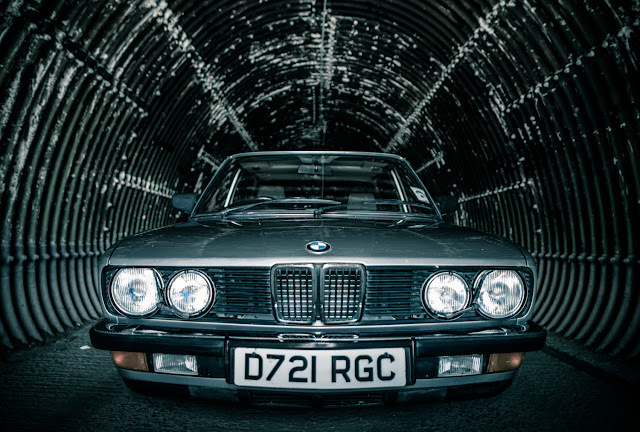 I’d never owned a German car before (not counting my BMW powered Rover 75 Tourer) certainly not an iconic one like the E28. Over-engineered is a phrase I see a lot in articles about this model and I can see what they mean. I hadn’t set out to buy an icon, far from it. I simply had a list of requirements and had three sections: rear wheel drive, all wheel drive and front wheel drive. The rest of the list was simple, around 200bhp, manual gearbox and the steering wheel back on the correct side. I’d just sold a six year project car in the form of a 1969 Dodge Charger and I didn’t want another car that would just sit or constantly break down. 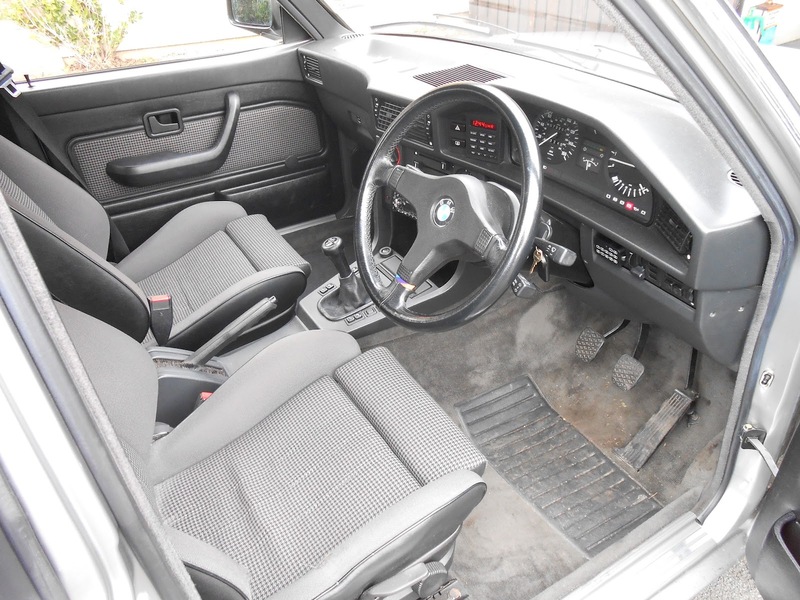 I wanted a driver and my list came down to an Audi S6 2.2 Quattro, a VW Corrado VR6 and the BMW. I’ll get around to the others later in my car life, for now I’m so glad I went with the E28, it was a modern classic, old enough to be interesting but new enough to use and be reliable. I found a nice chap in London who I emailed back and forth about the car as I was selling the Dodge to another nice chap. Since I knew nothing of 80s BMWs I figured I needed to know as much as I could. I joined the owners club online and all the usual stuff. It was much better than ok. This particular car sits a bit lower than stock on 17” Alpina wheels and new shocks which make the ride firm but still confident. Care must be taken over speed bumps but apart from that it corners like its on rails. Since my first drive of the car would be a big one (London to Northumberland) it would give me a great idea of what the car was like. In a word, fast. Pottering around the streets of London I was able to get an idea of how the car behaved, clutch and throttle response etc. 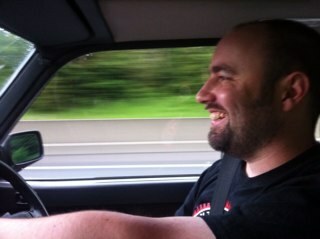 but nothing prepared me for the sheer thrill of joining the motorway and accelerating for that first time. I can’t really explain it but luckily I don’t have to as my friend James, who came with me that day, took a picture. There you have it, BMW joy. It’s my twitter profile picture most days. It was amazing to me, a classic performance car. Keep in mind that my previous classic had been constantly unreliable and problematic with 450 Bhp that I could never appreciate. This was 210Bhp that I could get access to at any time I wanted, right there, under my foot. This was a big deal to me. I’d driven fast cars before; I’d experienced speed and acceleration before but always slightly removed from the driving experience, either through modern technology or poor design. This was the sensation I always knew was out there somewhere. This is what people have been talking about. I’ve had a few cars but none within the performance saloon category, some diesels with turbos and one with a lot of power but not much control. The BMW is like no other car I’ve owned before, disposable power on request, no delay just instant overtaking ability on tap. Already a fine car the only major thing I have done to it since owning it is the new exhaust system from Fritz’s Bits which has changed the behaviour of the car is a very positive way. Third gear now seems to go on forever, much more range than with the original set up, which was possibly stifling the performance some what. It had to go due to rust anyway so I upgraded. 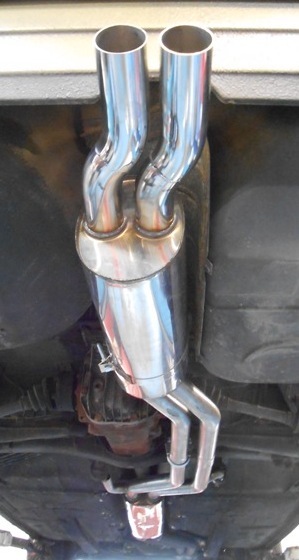 I still need the manifold section to complete the exhaust revamp but for now this will do just fine. 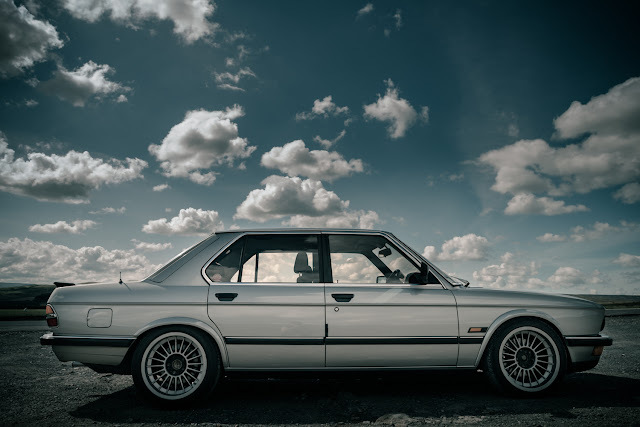 In a perfect world I’d drive the BMW every day, which would be very easy. However it does get thirsty when driven with “spirit” and the amount of gear I use requires an estate. So it is a weekend/special occasion car and that’s fine. It has opened my eyes to the world of BMW, the more time I spend researching and chatting with other owners I find an enthusiast that’s passionate about this level of engineering. There’s a little digital display on the dash which has your clock, mpg, average speed etc. which you can change at the push of a button. One of the other options is a timer function, lap times. BMW thought about the person that drives it to work every day and then takes it to the track at the weekend, in 1986! There’s a symbol next to the heater controls which simply shows you which positions to push your control levers in order to demist the windscreen. It makes me smile to drive which is the most important thing and it’s only tried to kill me once (!) On that first drive home from London, it was late at night in the middle of nowhere and I spun out on a wet roundabout. That was an eye opener! It’s a very practical four door saloon car with loads of toys, electric everything, headlight wipers, sunroof, cruise control and dash computer, but that’s not what we’re talking about is it? This car is more than just a list of impressive optional extras. I want go back to that statement: “over engineered” because it’s true. This car is better than it should be, based on an idea that something should be better than “acceptable”. 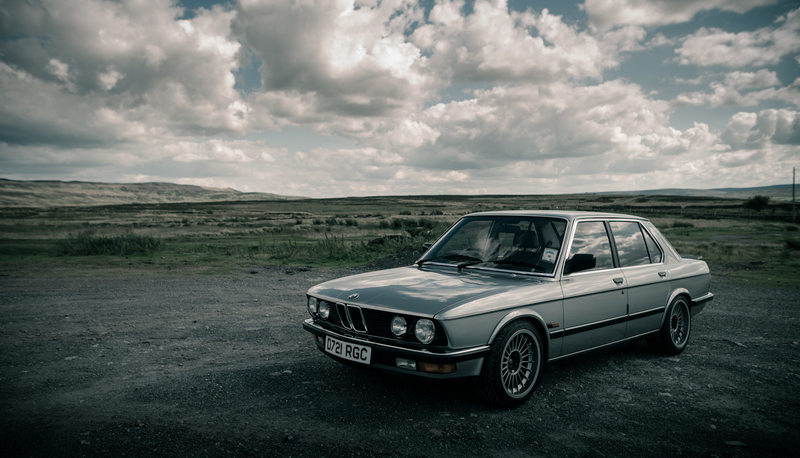 BMW made a statement with the E28 and that statement was: here is how things should be done. Do better. The shark nose design, the bullet proof engine and match that with a pretty much perfect driving position, dash layout and gearbox. This is a driver’s car. Why can’t you have it all? Ahead of it’s time? Definitely. Worth owning? Absolutely.